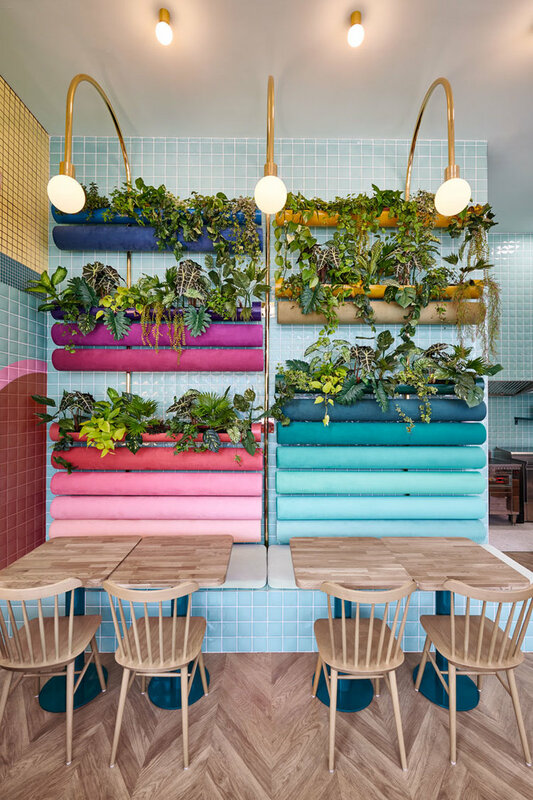 The team at Future Food partnered with Emily Pedersen, hospitality interior design specialist to put together a list of eight design features you can use to create the experience your customer wants from dining out. A very inspiring read! In a quest for investing in moments and FOMO (Fear of Missing Out), the need for sharing with friends and social networks is the now thing. 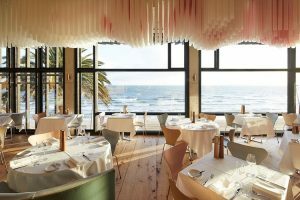 Actively seeking experiences which provide a good news story for the hospitality industry is what the customer is looking for. With every competitor in the market now understanding that an ‘experience’ is now a minimum expectation, creating a design concept or precinct design that is outstanding on an experiential level, can be challenging. How will customers remember your food and beverage offer from the next? We have eight recommendations that will help to create an elevated experience using interior design as the primary tool. 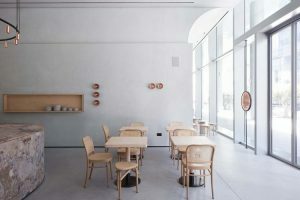 By elevating the design of your interior space using some or all of these recommendations, you can create the best environment for memories and customer loyalty time and time again. There is nothing more remarkable than entering through a small or typical entry and being surprised by what you find inside. 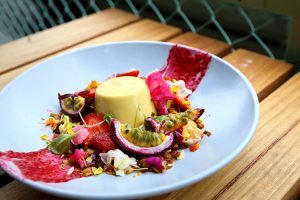 Creating a portal into your food precinct or business is one way to be experiential as early as entering. This allows your customer to be awe-struck as they find their way to their table, permanently impressing a take home memory. Once they have made it inside, you must continue to capture your customer’s attention by using cohesive and curated design features which collectively bring a space together. 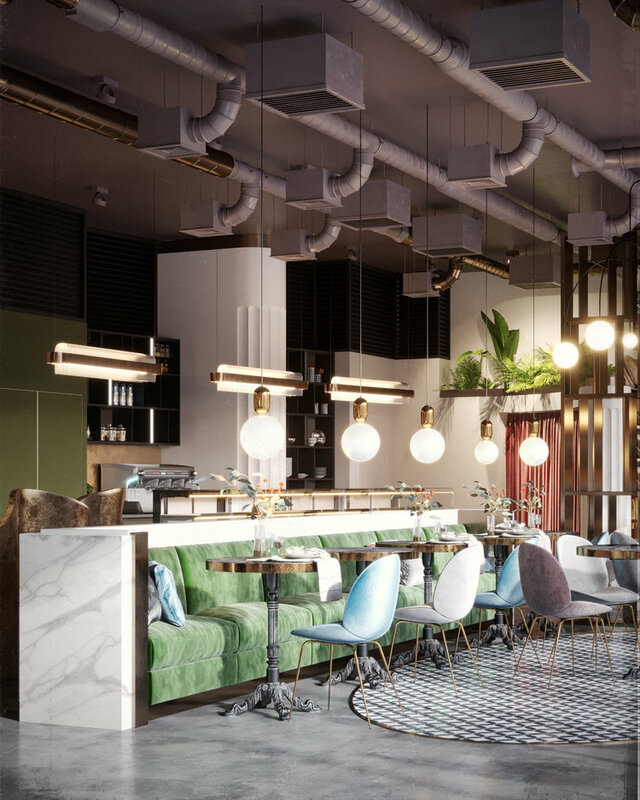 Whether it’s an outstanding ceiling and lighting feature, dimensional wall treatments, textures or hard furnishings, creating appeal through Interior Design will positively reinforce the overall experience and prepare your customers for what’s next, the food experience. 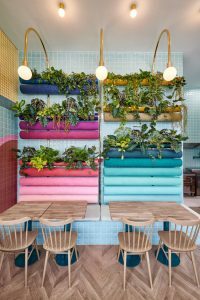 Custom design details can turn a standard interior concept or food precinct design into an elevated space making you stand out from the crowd. 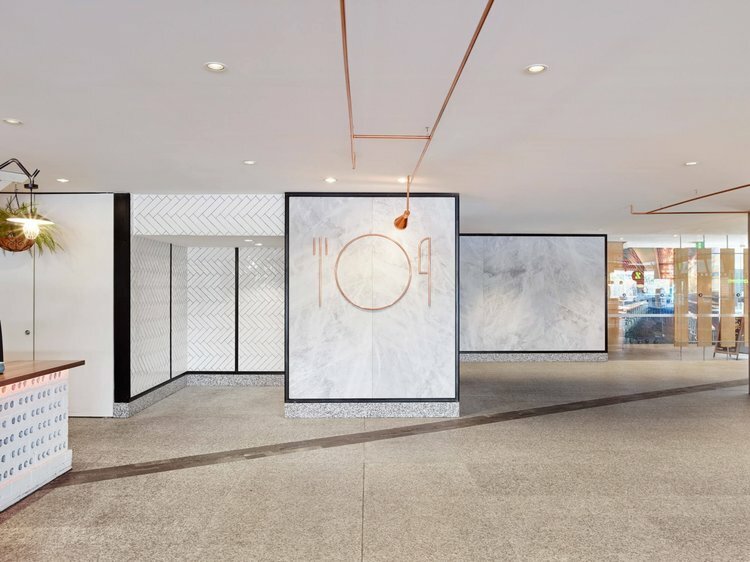 Whether it’s a custom designed bar, a connective ceiling feature or surprising details throughout, your customer’s experience will be enhanced by the smaller features that pop up throughout the space. 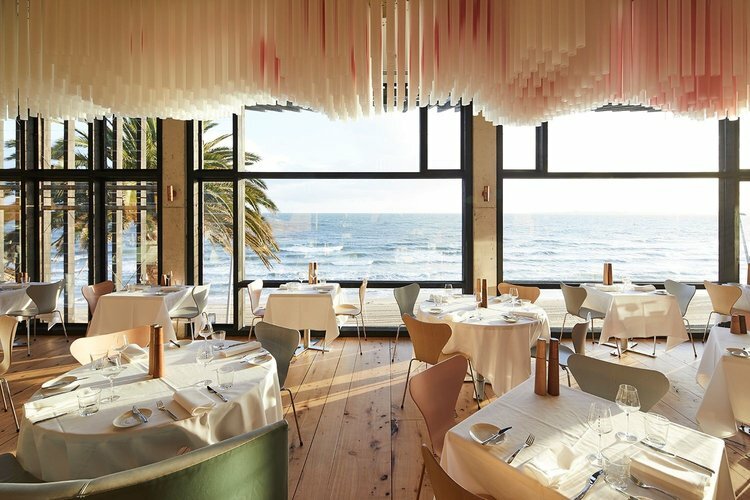 Food follows fashion and the trends you see on the runway will almost always appear in restaurant interior design. From florals to monochrome, to minimalism and beyond. An instant way to align and appeal to your customer, is to embody a fashionable interior style. This is where your customer spends most of their time during their visit so it’s important to get the seat they sit in right. Spending more of your budget on seating and cost cut in areas less visited or interacted with by your customers is a clever way to ensure all finishes and features have been considered whilst providing a memorable visit down to the comfort of their backside. 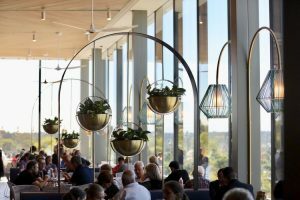 Many food precincts and individual restaurant concepts alike, offer all-day dining which means the space needs to account for both daytime and nighttime ambience. Stark lighting is generally not well received in the evening and similarly, dark and intimate lighting and colour palettes are not favoured during the day. 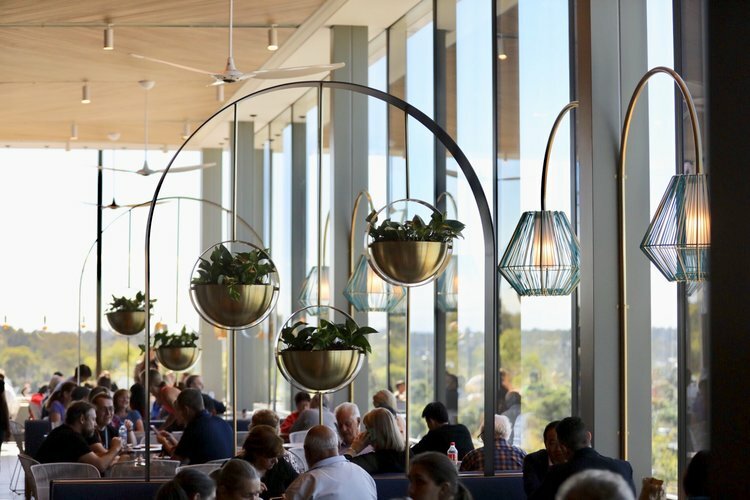 If you’re an all-day dining operator or food precinct, the ambience should be a wholistic and considered interior design solution, that can transform your space throughout the day and night and successfully set the right mood. This feature is particularly key nowadays when a photo of your food is equally as important as what the food tasted like to your customer. 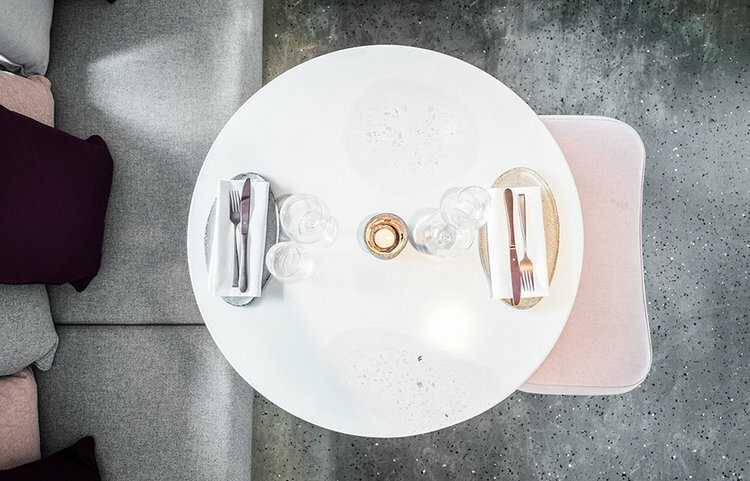 Creative table settings will reflect your concept or food precinct by using aligned finishes, a complementary eye catching colour palette and ‘feature’ cutlery and crockery. The ‘customer favourite’ flat lay image of their beautiful table and meal, not only adds to the overall experience but can launch a potential new customer base on their journey to your restaurant or food precinct by sharing their images across numerous social platforms. This is the final touch, when the food is presented to your customer. All design elements mentioned previously have already been experienced by your customer as they’ve entered, meandered, seated and summed up your space to now. 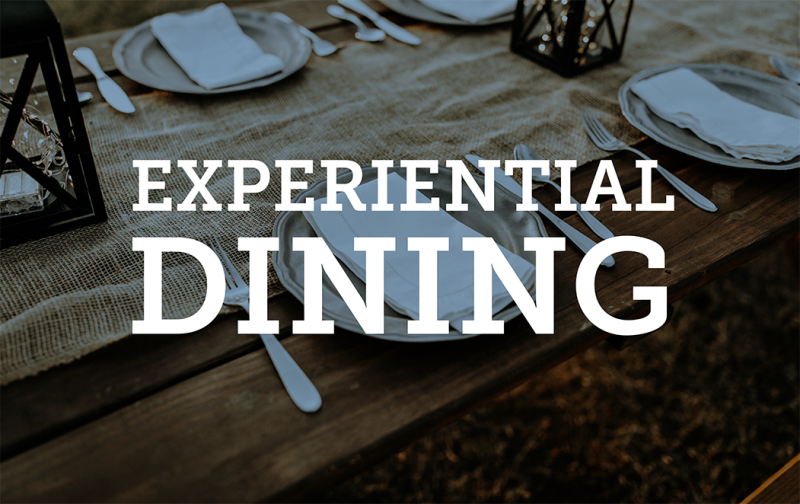 To complete the experience, the food should be presented to evoke an amazed response from your customer. Whether it’s in quick service where the packaging provides the experience or at a full-service restaurant where detailed ‘plating’ highlights the food, the way the food is presented to your customer is the last moment to positively reinforce your food brand before they taste your food and arrive at their final thoughts on the entire dining experience.